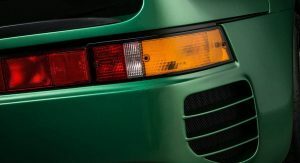 The Porsche 959 was a revolutionary supercar when it debuted in the 1980s. Three decades later, its performance has long since been surpassed. But its legend has not. Enter Canepa to bring it up to spec and beyond. 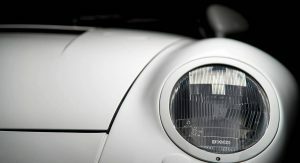 The company was originally responsible for bringing the 959 to America. 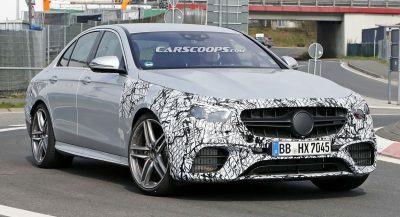 And now it’s announced a new upgrade package to the prototypical German supercar. 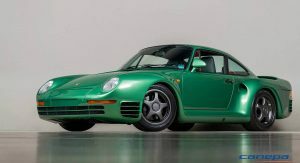 Called the 959SC, it thoroughly restores the original. 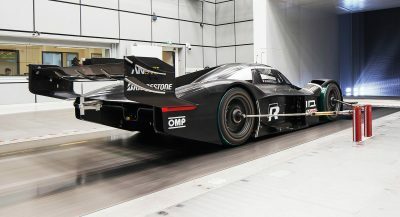 And in the process, Canepa adds 75 percent more power. 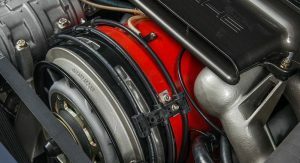 As it is, the 959 packs a 2.8-liter twin-turbo flat six. 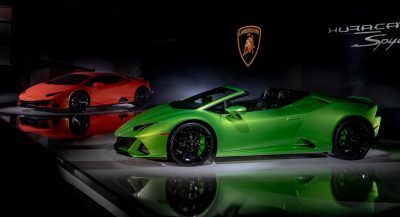 But where it originally produced 444 horsepower, Canepa’s Genereation III performance upgrade package boosts output to 800. 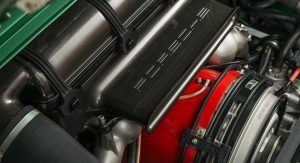 That’s more than the Carrera GT’s 603, and more than any version of the 911 to date (the latest GT2 RS producing 700 hp). It’s also more than the 608 hp that the V8 in the 918 Spyder kicks out, and almost as much as the hybrid’s combined 887 hp. 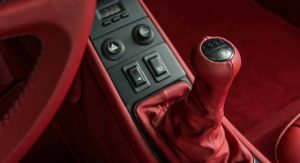 The boost comes thanks to a new header, exhaust, turbos, engine management system, fuel system, and a more powerful ignition system. 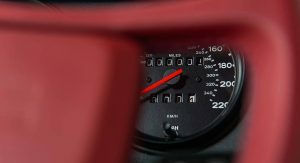 Considering that the “standard” 959 could already pull off 0-60 sprints in the mid-three-second range and top out at nearly 200 miles per hour (320 km/h), we can only imagine what the revised version will do. 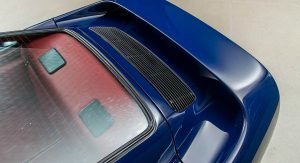 Canepa doesn’t just focus on the engine, though. 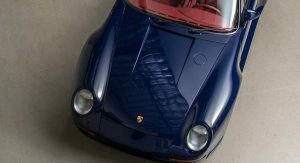 Short for Sport Canepa (not supercharged or Sport Classic), the 959SC program entails a complete restoration. 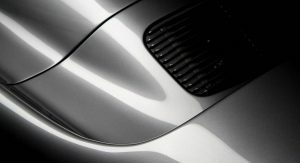 The bodywork is stripped down to the bare metal and repainted in any color the customer chooses – a nice benefit considering that Porsche only ever offered it in white, silver, or red. Plated components are recoated in zinc, the suspension upgraded and powder-coated. 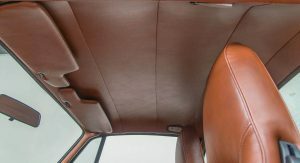 The interior is completely redone in the finest leather, the steering wheel hand-stitched, and a Porsche Classic audio/navigation system fitted. 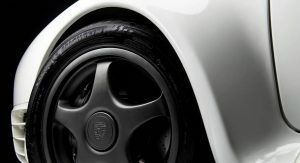 Canepa even fits its own set of 18-inch alloys that replicate the look of the original. 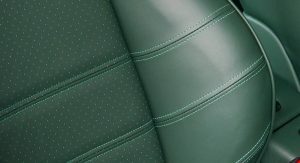 The restoration process entails over 500 hours spend on the bodywork alone (before it even enters the paint booth), and another 300 on the interior. We don’t even want to know how much the entire process costs. 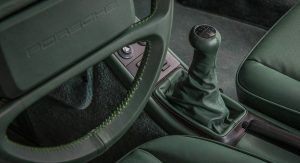 But considering the pride of place the 959 takes in Porsche’s history, we can only be grateful to Canepa for undertaking each one, and to its customers for footing the bill. 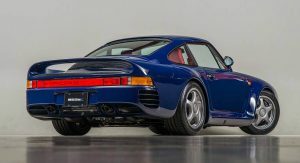 Honestly my heart is split on this car, at one hand Canepa Design is one of the most leading 959 shop in the world, and they are the one that sort of introduce “federalized 959”. 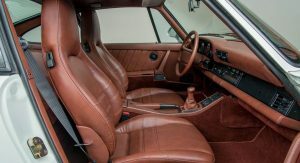 The modification is subtle, they still kept the interior and even the wheel is original albeit with modern Michelin shods. But I just think that the extra hp would make the car harder to drive or lose the original feel of the cars. That said the car modification is subtle, brilliantly executed and I guess I had to wait until someone drive it. Well said. 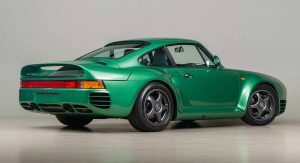 Its a toss up between paying a small fortune to be transported back in time to experience the original or enjoy just how capable that 959 chassis is and what the car is capable of when tuned. Given how beautifully restored these tuned versions are and how stock they look, seriously tough decision. That is until you get to the price. 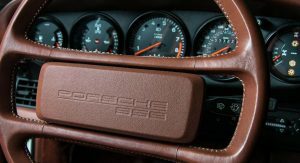 Dont even want to know what a tuned version costs when the plain old regular 959’s trade in the millions these days. 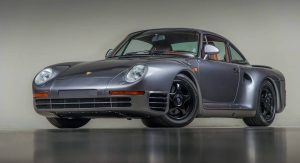 Most Porsche purists will probably talk bad about Canepa Designs restomod for the 959 but I like it. I wonder how tame it will be for daily driving with almost twice the original output. 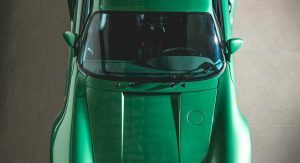 Given how rare and expensive a real 959 is, i would very much doubt that moding it is a good idea, no matter how nice it seems; The world is also not asking for a 1000hp Ferrari F40 restomod…. Given they already had at least 3 customer. 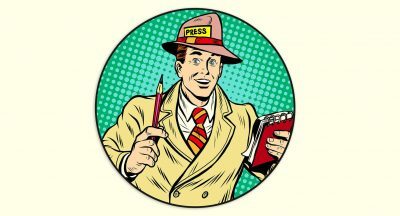 There is market of it. 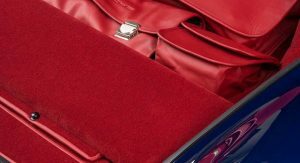 Most importantly, Canepa Design is among the world authority for 959 and their restoration works for Porsche is well known among the aficionado. So it’s not like some random garage modify it. I like it and I’d definitely want to have something like this. 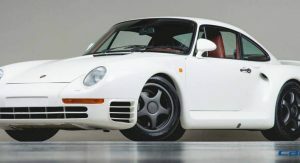 The thing is though, the 959 is freaking expensive and I would be very hesitant about modding a car like this. 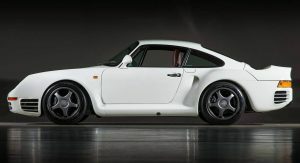 Anyone wealthy and savvy enough to own an original 959 is also smart enough not to modify it.